Sweet & nutty, rich & creamy, warm & toasty, THIS is what breakfast is made of. Who has time to make a big elaborate breakfasts every morning? I know I don’t. Those are for weekend mornings or when we go out (let someone else make the mess! ), right? But sometimes, I want to feel like I’m eating a fancy breakfast without putting in all the work and you know, it is possible! 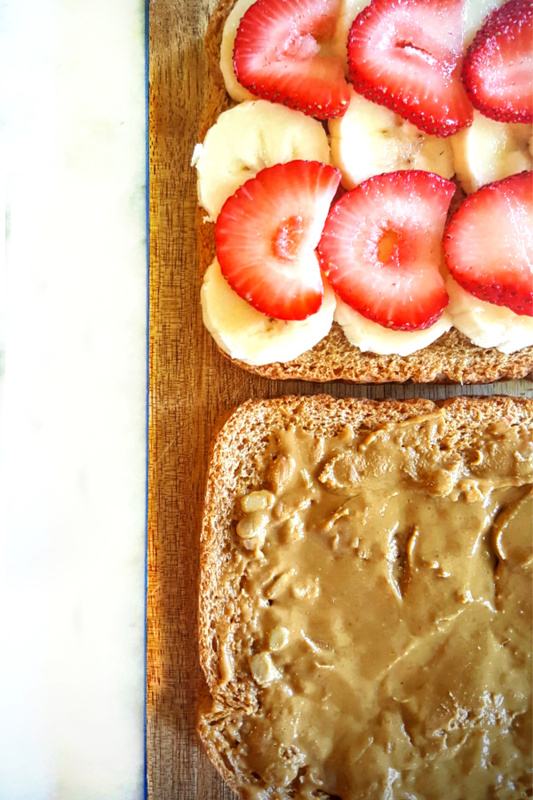 That’s how these Banana Berry Sammies came to be. 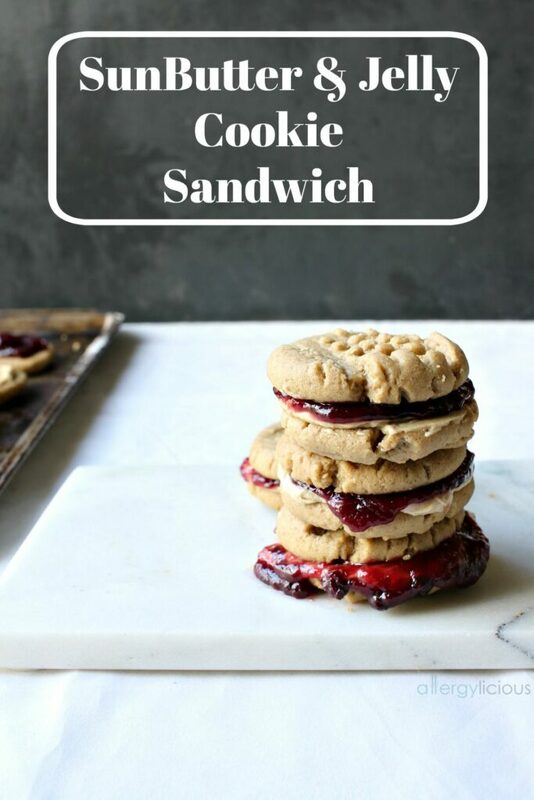 I originally called them Lazy Girl Waffles because I was too lazy to make waffles, but Banana Berry Sammies sounds a little more delightful, doesn’t it? 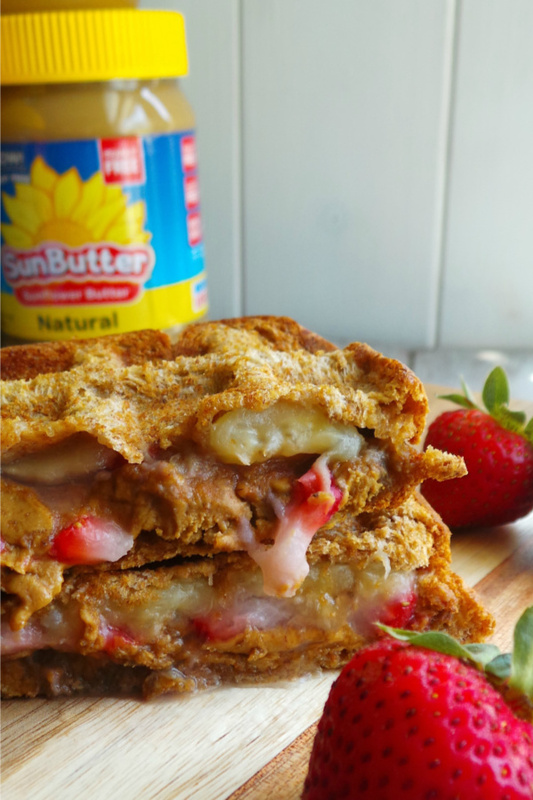 All you need is bread (gluten free or your choice), SunButter (because its amazing when warm and melted), sliced banana & strawberries. 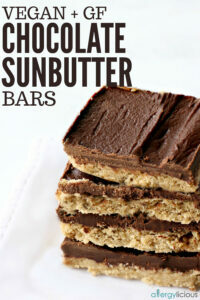 Throw some dairy-free chocolate chips inside for an extra WOW factor! 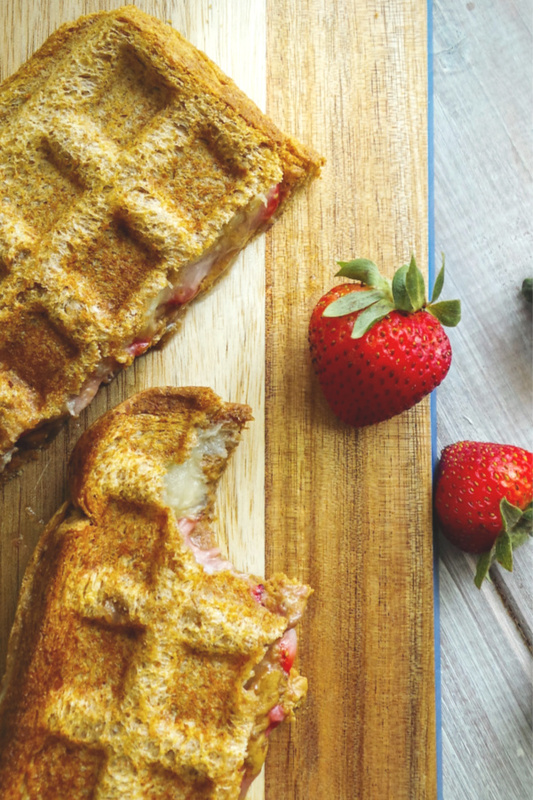 Oh, you also need a waffle iron, otherwise, it would just be a sandwich (and we’re not that lazy). 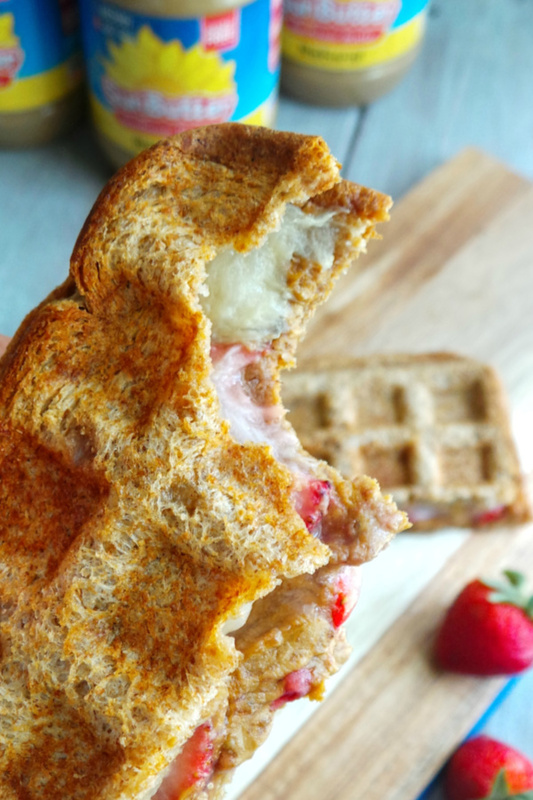 Simply spray the inside of your heated waffle iron, lay your sandwich inside and press. The magic happens quickly! 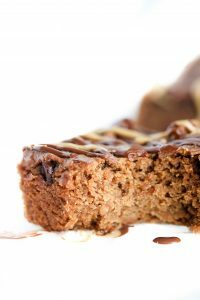 The bread is lightly toasted and the interior just melts with creamy, naturally sweet goodness. 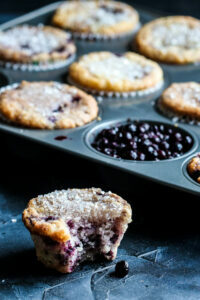 So, if you’re looking for an easy, yet decadent food or breakfast recipe, you should make this! 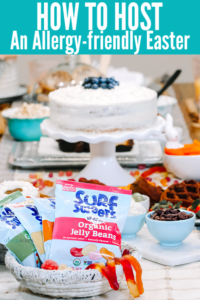 Dress it up with chocolate chips, change out the type of berries you use, or maybe throw in a little homemade marshmallow fluff if you have some handy. Either way, it’ll make your mouth happy! I think what I love best about this recipe is that it gives my son, Xander, another way to eat a sandwich. Sometimes, when you are so limited in what you can eat, it’s nice just to change it up a bit! Do you have any fun mealtime tricks? It may be making faces on your pancakes, or using cut-outs for lunch-box sandwiches. Whatever it is, I’d love to hear how you turn an everyday meal into something special. Oh my gosh. My kid will LOVE this! He’ll be seeing banana berry sammie in his lunch next week for sure. yay! I’d love to hear if he’s a fan as much as my kiddos. I serious love this idea! 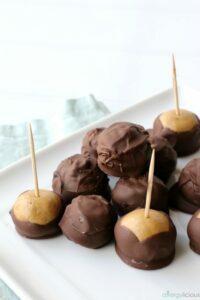 So simple, yet so fun and delicious. My kids would go nuts for these! This is such an awesome idea, Nicole! 🙂 So simple and I bet it’s super delicious! Aren’t waffle irons great? I use mine for all sorts of things including toasted sandwiches. They sure are! I love using them to toast sandwiches as well.